I have a small apartment (with large bookcases) so I got a small tree. 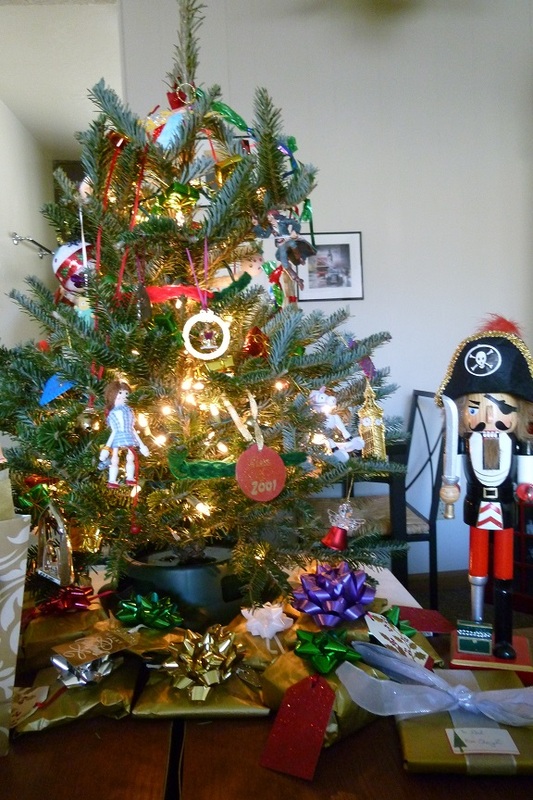 And then just by chance, most of the gifts I’m giving are (in size) small as well, so it all fits together proportionately rather well…apart from the large pirate nutcracker, of course! Visit West Metro Mommy for more Saturday Snapshots. And have a wonderful holiday! Lovely decorations, Merry Christmas to you. Just lovely! That prate nutcracker tricked m eyes there for a minute! Merry Christmas! Cute tree!! I love the Pirate Nutcracker too! You did a good job fitting a smaller tree proportionally into a small living space. We can’t all have 8 foot tall trees! It looks very pretty.